Stuart Crystal Villiers Oleta pattern is my favourite crystal glass. 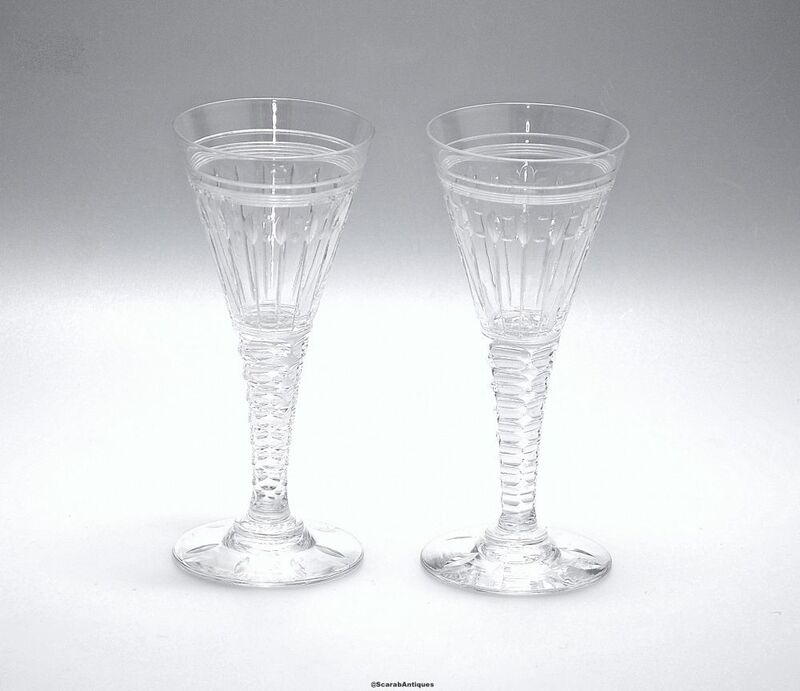 The finely cut bowls of these lovely crystal glasses are conical shaped above a faceted stem and a split cut round foot. The bases of the glasses are acid etched "Stuart England". The design was produced from around 1930 or shortly before and the mark is for the period 1926-1950. Originally I think they were for drinking madeira but I firmly believe that you use them for what you want to drink - wine sherry port even liqueurs or cocktails. They are a very elegant set regardless of what you drink from them.